Having her dog taken away by an uptight landlord was a heart break for Laura. 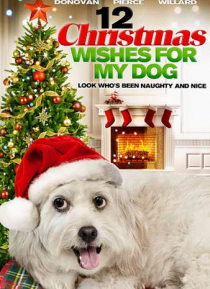 Willing to try anything to transform her life and get her dog back, Laura follows her best friend's suggestion and sets up a session with a life coach. The unusual character of the life coach makes Laura skeptical, especially when the coach tells Laura to make 12 wishes for a positive change in her life. Skepticism turns… to joy as Laura realizes that she can wish for anything and the wish will come true!